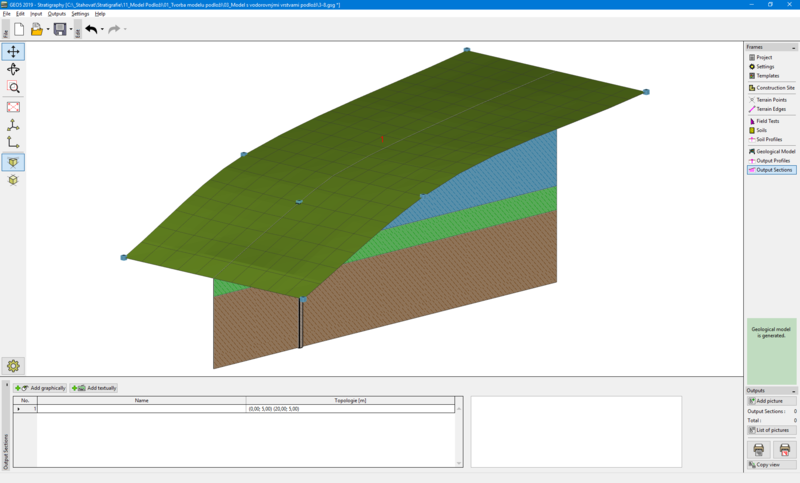 We will create a geological model with horizontal layers according to the following picture. First, we enter a field test (type borehole) in the "Field Tests" frame - the name BH 1, coordinates [x; y; z] - [5; 5; on terrain], thickness of layers [2; 1; 3]. The soils [blue, green, brown] can be added directly in the window "layers of borehole" or in the "Soils" frame. 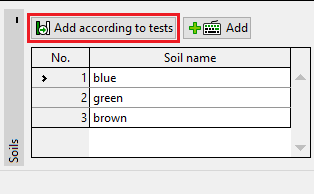 The easiest way is copy all soils from the tests using "Adopt from field tests" button. The list of soils used in tests is created. 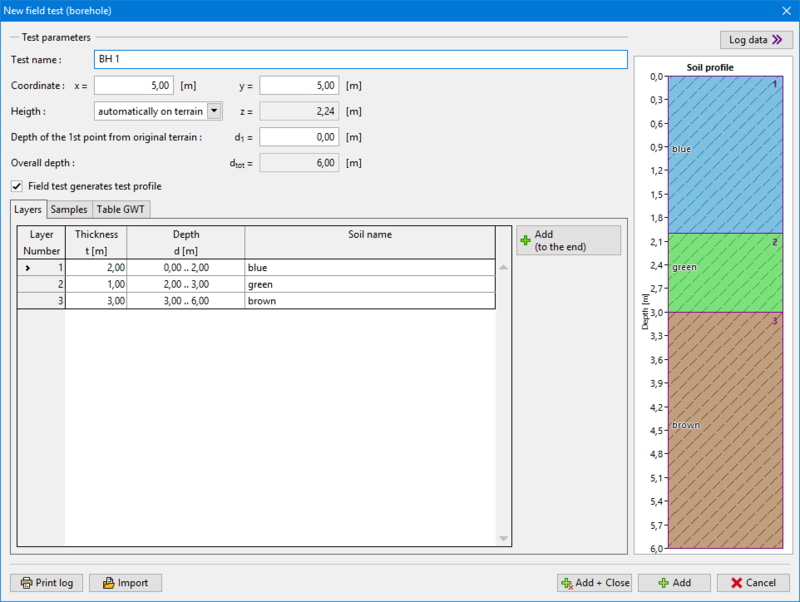 The soil profile and borehole are created automatically from the test (type borehole). 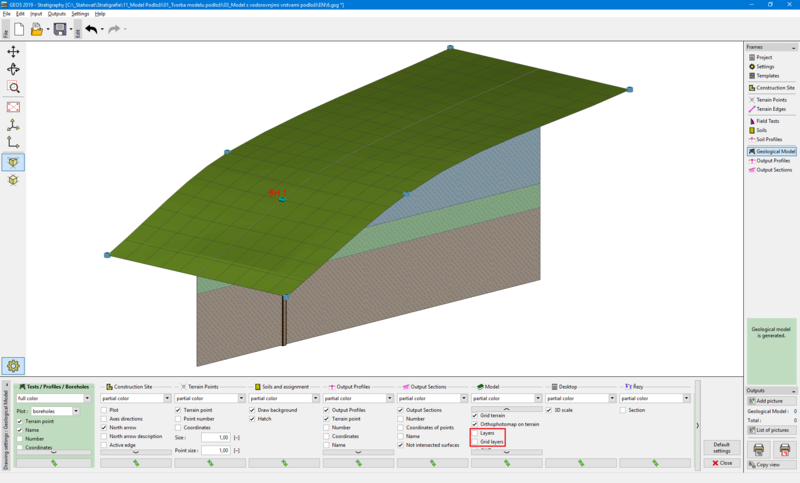 After switching to the "Geological model" frame, the required model is generated (if the manual generation is selected in the "Settings" frame, it is necessary to use the button "Generate"). For a clearer view, it is appropriate to enter a cross section in the frame "Output Sections" - points [x; y] - [0; 5], [20; 5]. 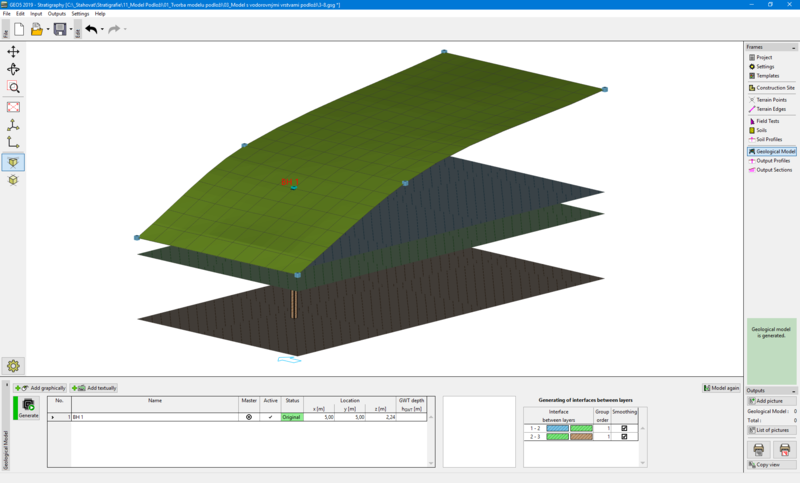 It is necessary to change the drawing settings for correct visualisation of cross section in the "Geological Model" frame.